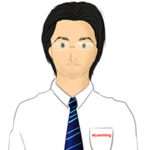 I am an eLearning Developer | Instructional Designer | Content Writer for 3i Logic Innovations (Pvt) Ltd. I switched to eLearning field primarily because my job demands it and then I was amazed by the huge potential and growing nature of this field. So I took personal interest in this field and became an avid reader of The Rapid E-Learning Blog. How to change size of slide in Articulate Presenter?